The Judicial Appointments Commission bill has reportedly been pushed into a state of latency by the NDA Government. The Judicial Accountability Bill has also met the same fate. This bill proposes the replacement of the collegium system of appointment of judges to the High Courts and the Supreme Court. 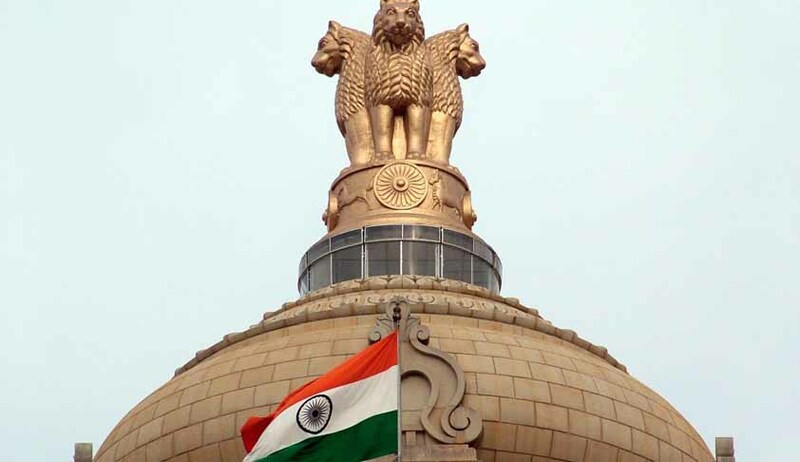 Even though the UPA Government had undertaken an intense consultation process, receiving suggestions from the Parliamentary Standing Committee as well, the NDA Government has now decided to hold fresh discussions with jurists, judges and members of the bar, after the Budget session. This move comes in the wake of the recent uproar over Government’s rejection of Gopal Subramanium’s candidature for Supreme Court judgeship, after he had been recommended unanimously by the collegium headed by Chief Justice of India R.M. Lodha. In such an atmosphere, the Government has apprehensions of rejection of any new law by a bigger bench and hence, it has put the bill on abeyance to avoid that disappointment. Read more news about the controversy here. The JAC Bill seeks to set up a six-member body under the chairmanship of the Chief Justice of India for recommending names to the President of individuals with outstanding legal acumen and impeccable integrity and credibility for judgeship in the Supreme Court and the High Courts. It would also recommend transfer of judges of one High Court to another. The Constitution (120th Amendment) Bill, 2013, provides for setting up of a Judicial Appointments Commission by inserting Article 124 (A) in the Constitution and amending Articles 124(2), 217(1) and 222(1). The structure and functions of the proposed commission are provided in the JAC Bill. The Bill proposes giving statutory recognition to the code of conduct evolved by the judiciary to avoid any future altercation and also contains provision restraining the judiciary from making remarks on constitutional bodies and authorities in open court. Law Commission of India chairman Justice A.P. Shah, in an interview to The Hindu, said that the Judicial Appointments Commission was a step in the right direction to free judicial appointments from “inappropriate politicization.” “Ultimately, the rationale of having the Commission instead of the collegium system is to strengthen the quality of appointments made, promote diversity and sustain public confidence in judicial system,” he added. However, according to him, the Bill provides no provision for transparency during the process. Nor does it offer any role to the civil society in judicial appointments. According to him, “the collegium system is a solution which has proved much worse than the disease,” adding that, “Judges are today chosen on undisclosed criteria in largely unknown circumstances. Justice Ruma Pal [a former woman Supreme Court judge] remarked that it is one of the best-kept secrets in the country. The system is completely opaque”.